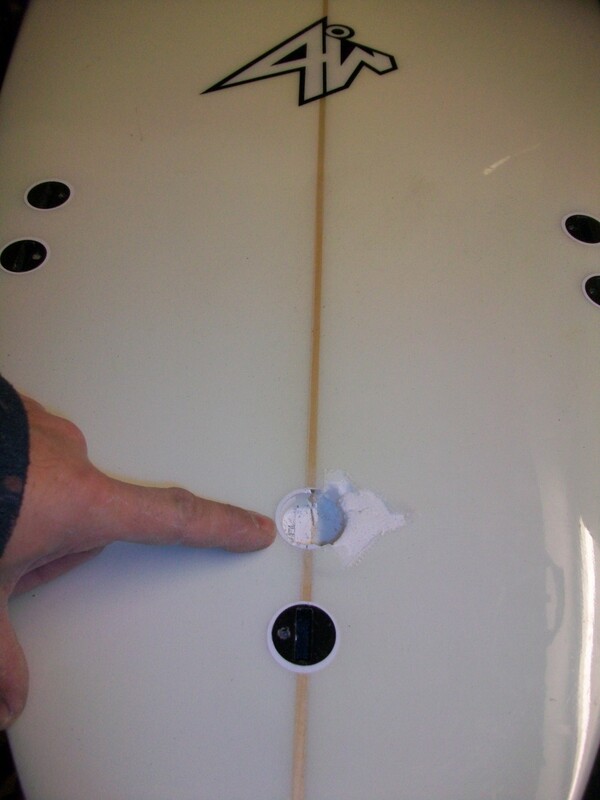 Ryan’s Gulfstream Fish Surfboard speared in the guts by a shortboarder. 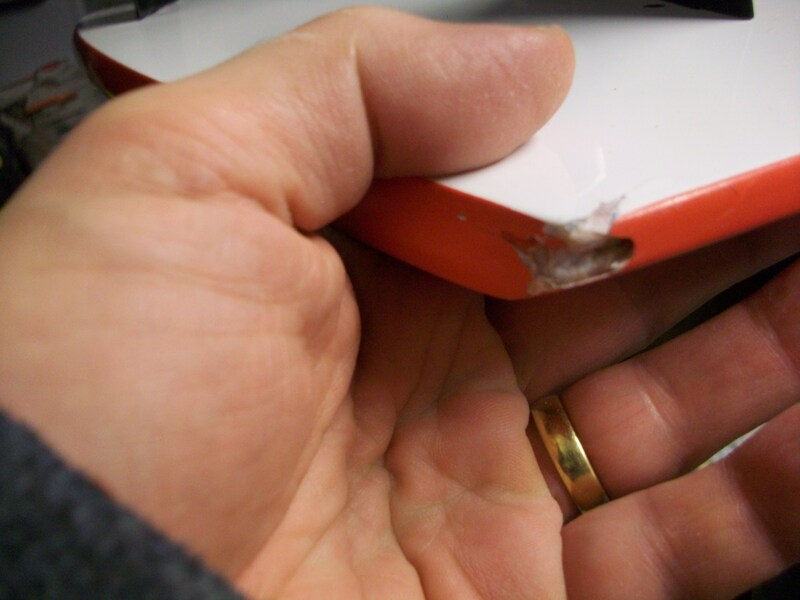 If in doubt Router it out. 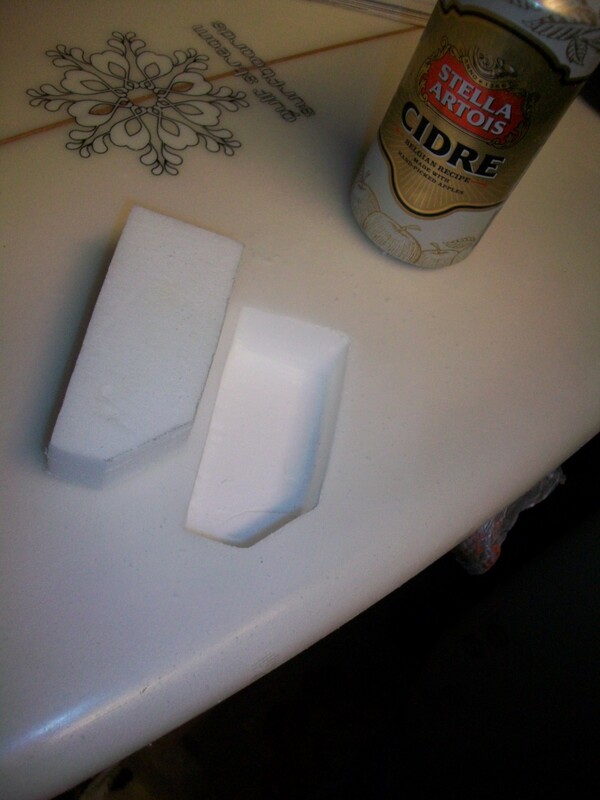 Foam resined in with 6oz fibreglass, fared and polished. 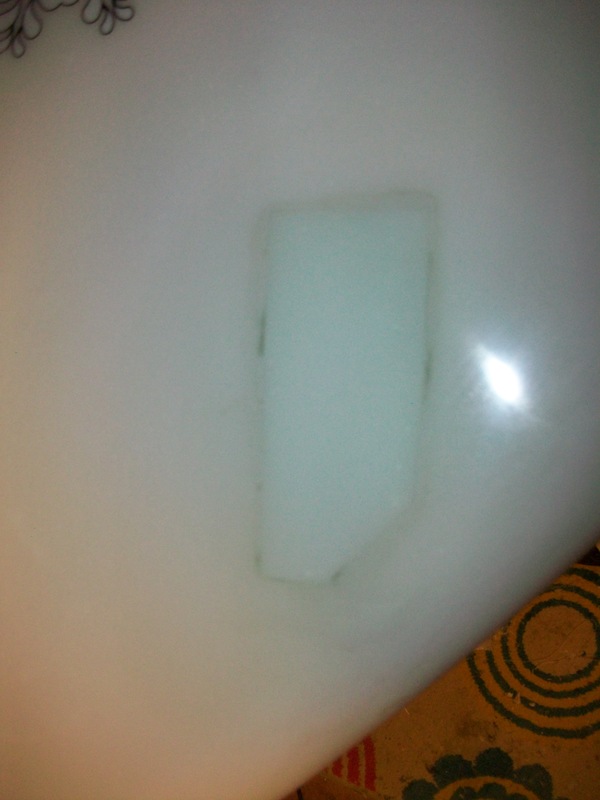 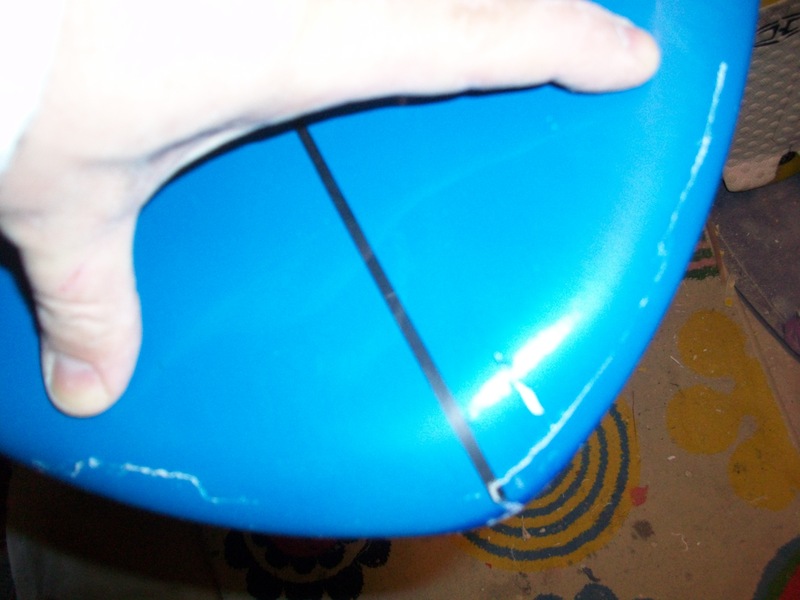 Notice the crack – thats were the fiber glass top layer was over lapped on the underneath. 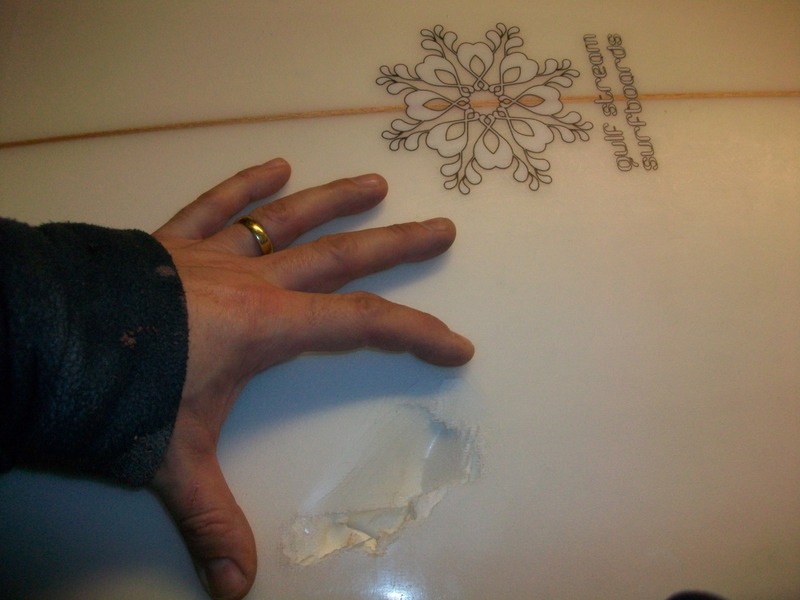 This must of been quite a crunch as this construction is tough. 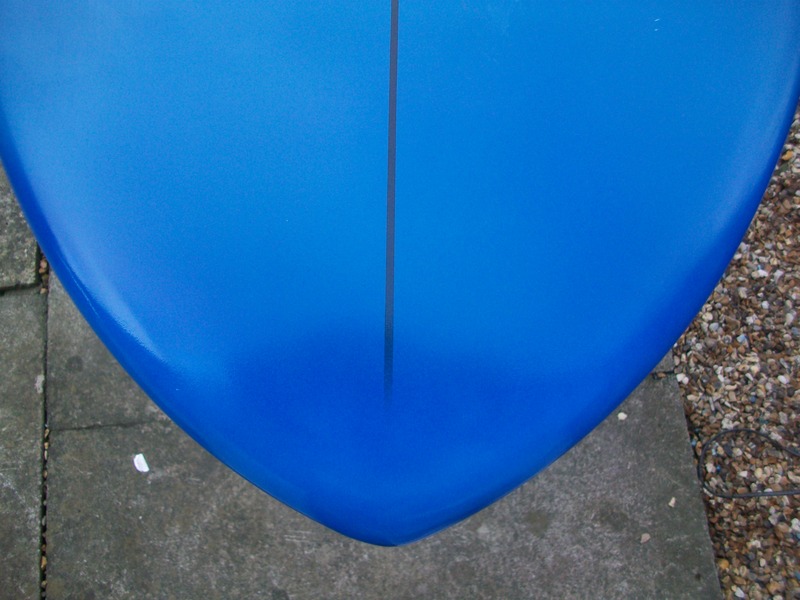 After 18 oz of glass added – faired and colour matched. 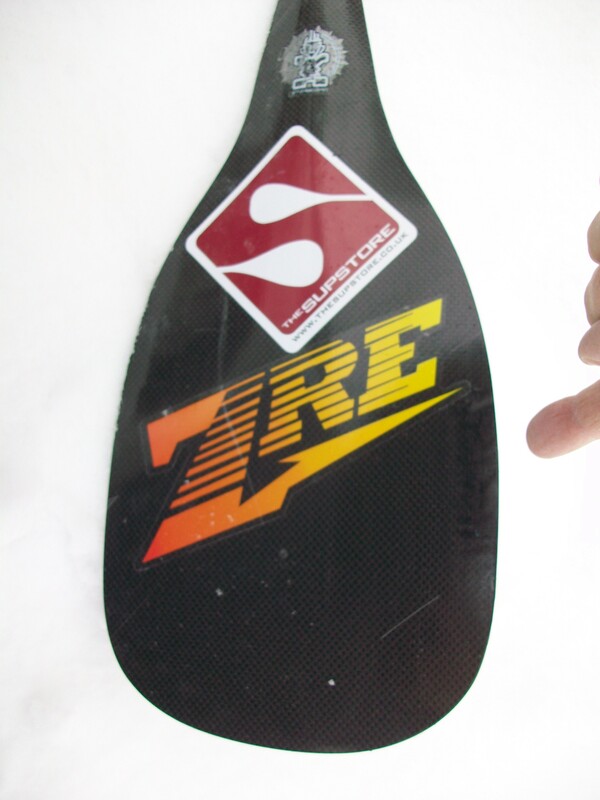 Enjoy Marco sup ing in the snow. 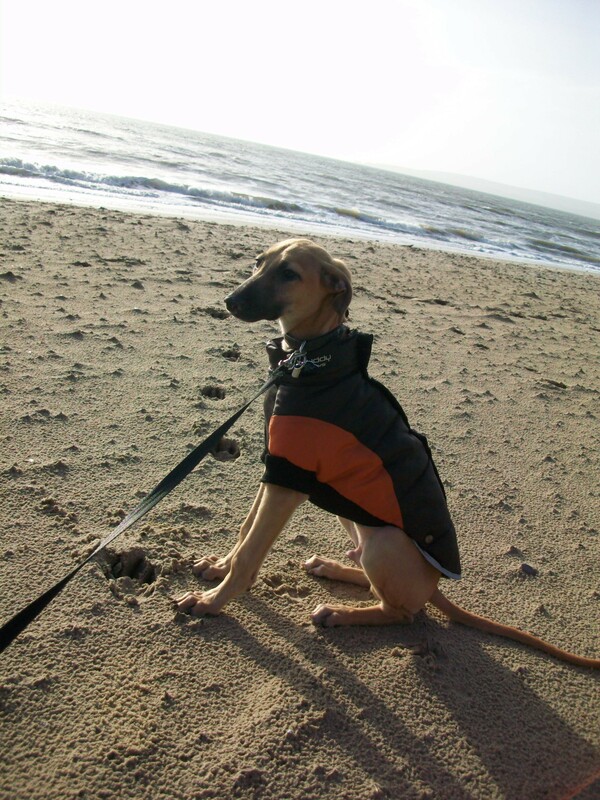 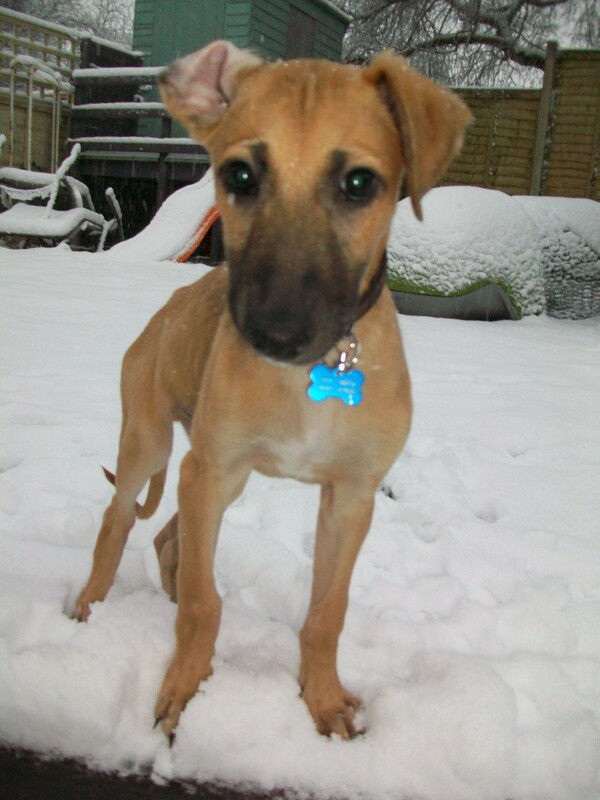 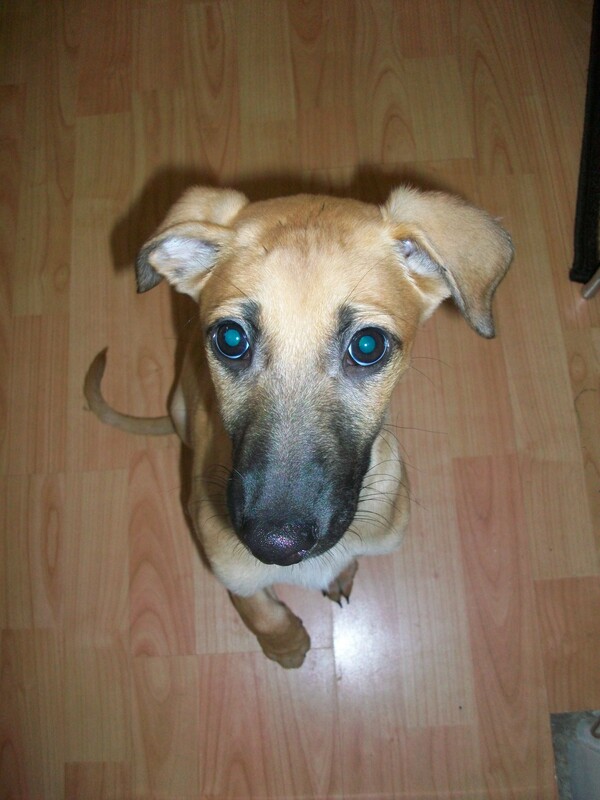 Talking of snow,my puppy experiencing snow for the first time. 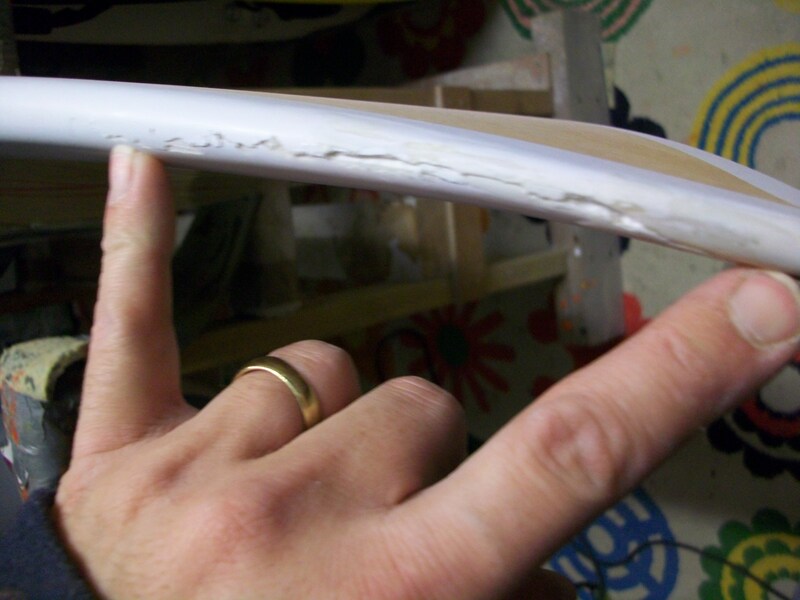 I added 2 layers of 4 oz over the repair and one layer over the FCS fin plug, to put the integrity back into the damage site. 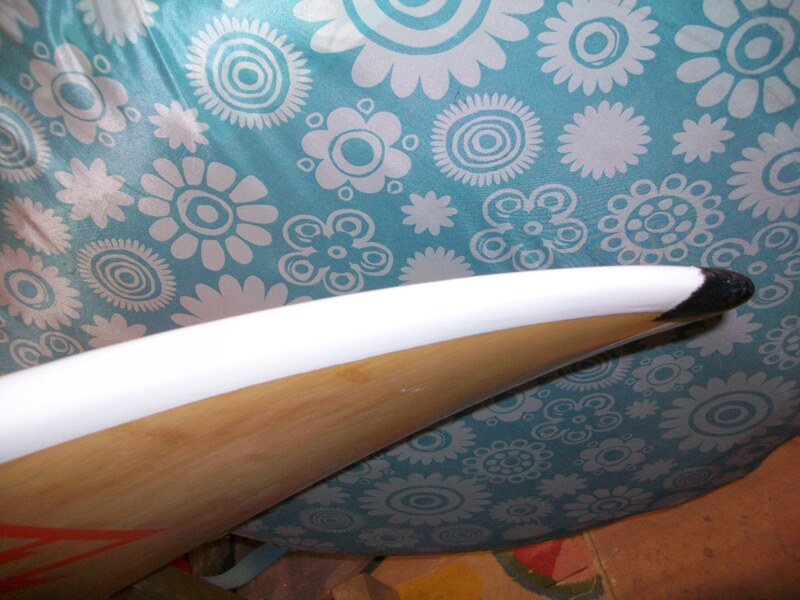 Boring really so I thought I add a pic of Alana Blanchard a pro surfer/model. 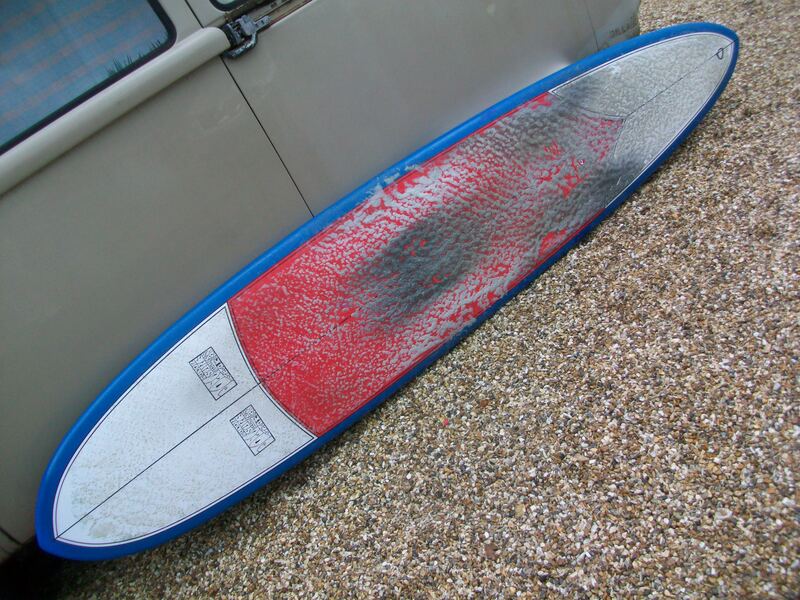 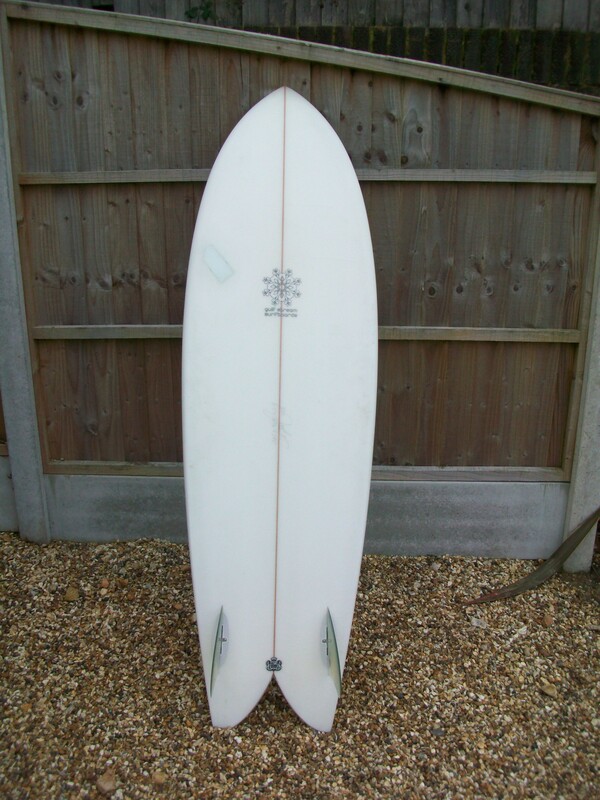 A quality surfboard repair service for “The South Coast of England & Beyond”. 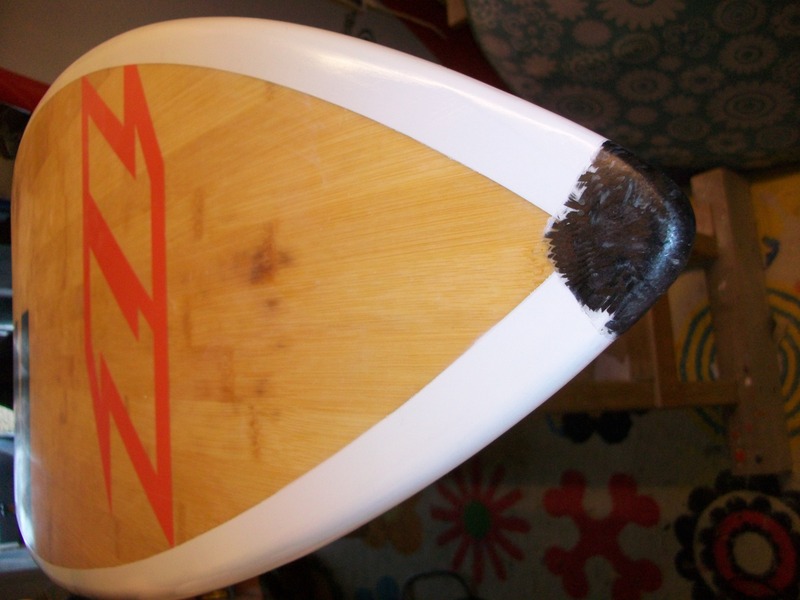 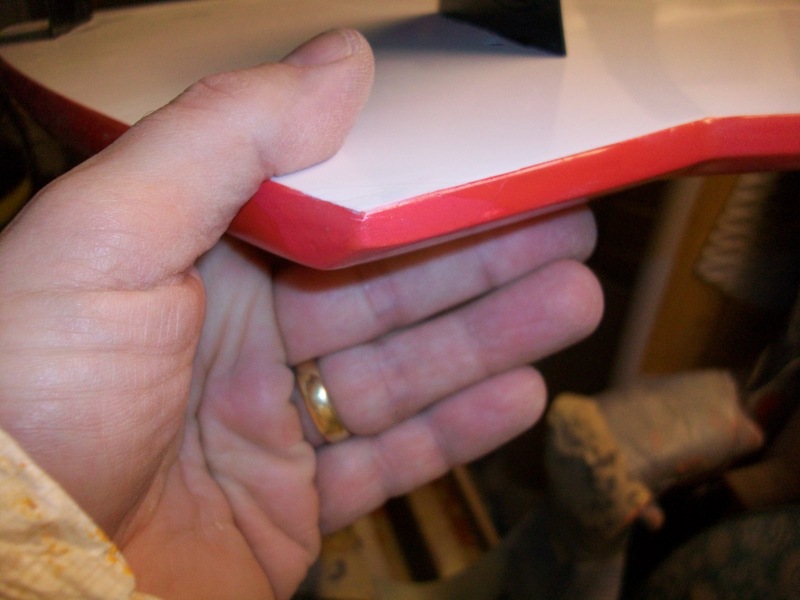 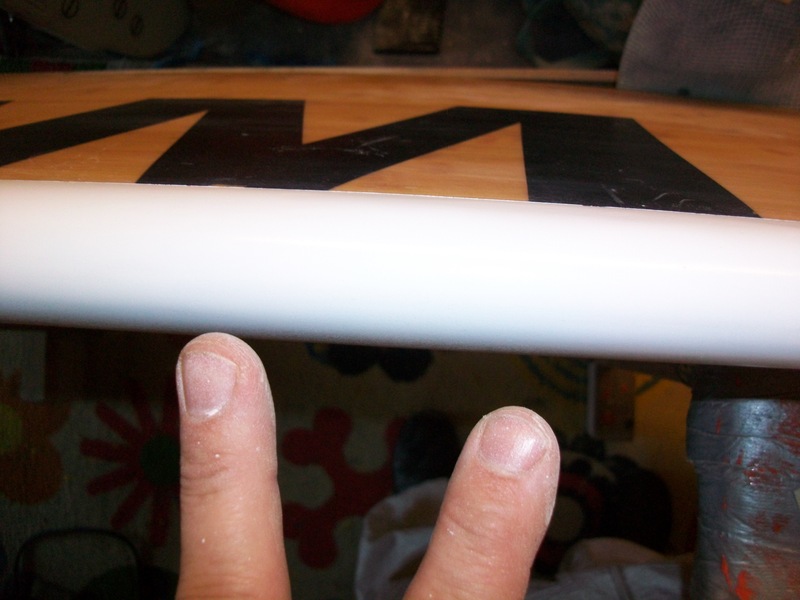 A TakeOff epoxy fish surfboard tail repair. 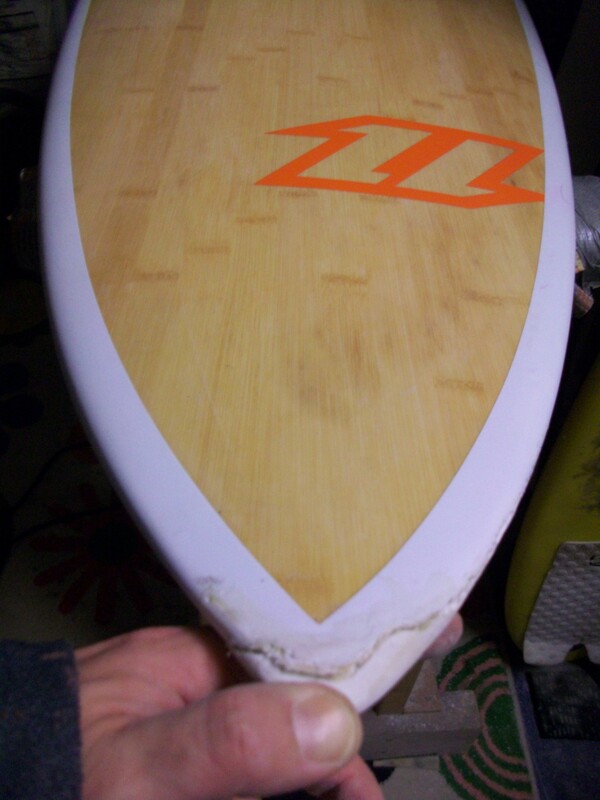 best to repair it properly to keep it watertight. 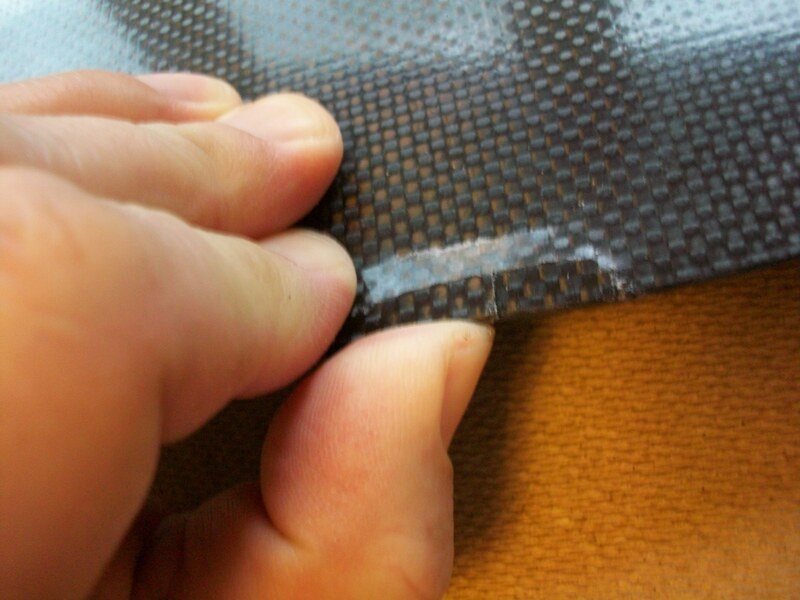 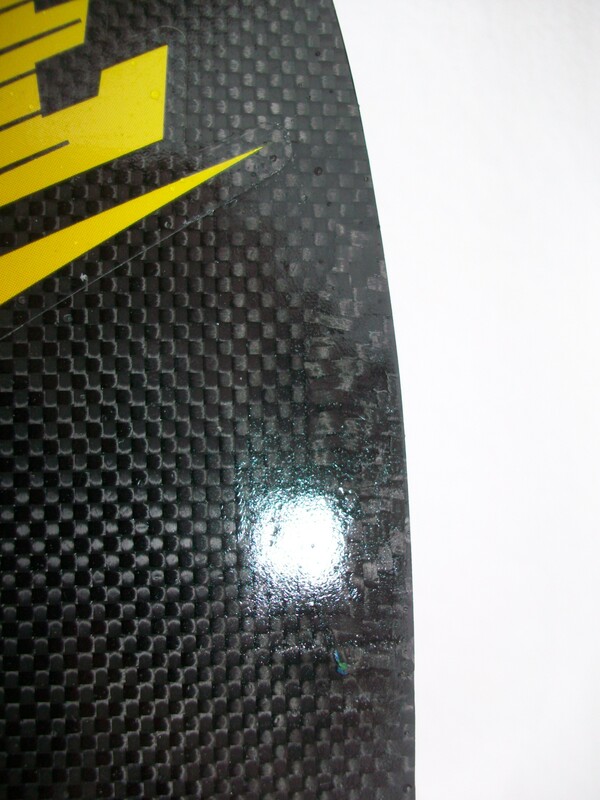 An epoxy resin with glass fiber repair. 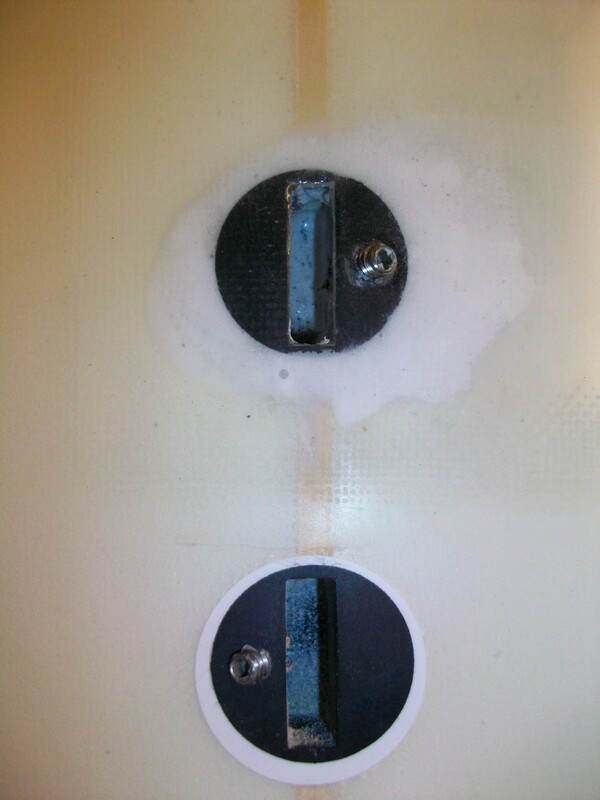 these temporary repairs were rebuilt.